If you love word games and Mahjong (heck, even if you love only one of the two), we’ve got the game for you! 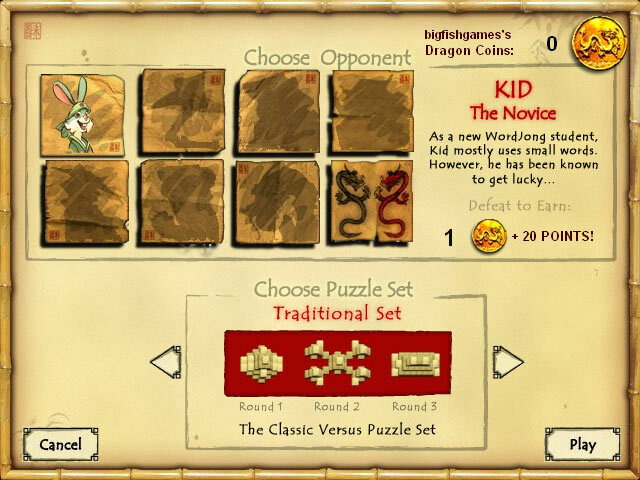 WordJong is the unique new game that combines these much-loved genres. 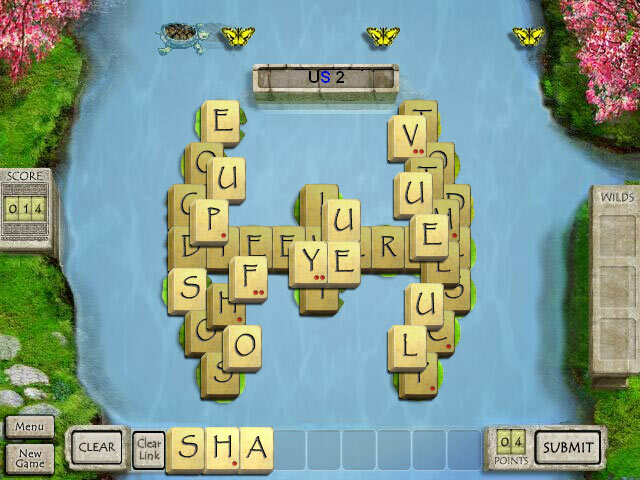 The goal here is to remove letter tiles from a word puzzle by spelling words with them. 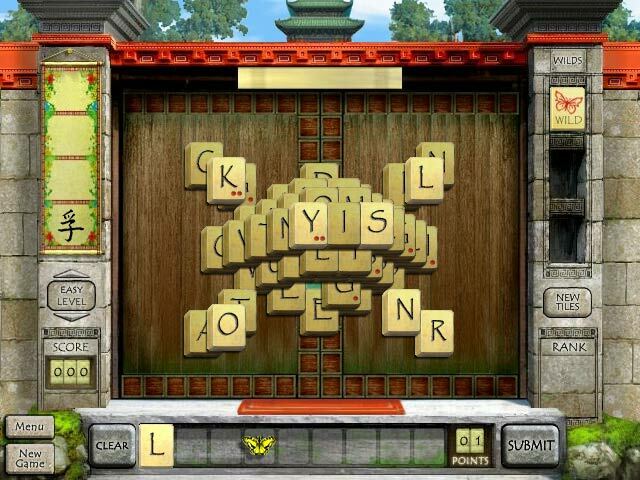 Clear out enough word puzzles, and earn a fortune! Choose from three modes of game play – Classic, Versus, or Link – and you’ll be spelling to your heart’s content for hours on end. Select any of several layouts, enjoy beautifully rendered graphics, and relax to the ambient soundtrack.